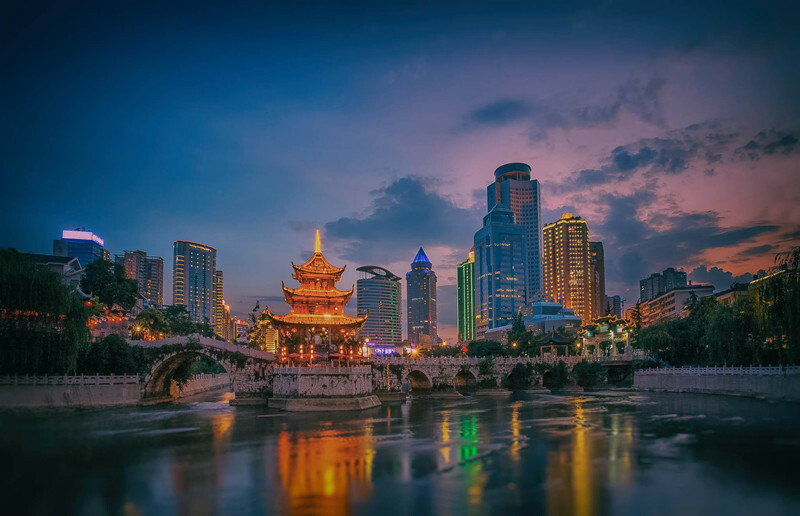 Guiyang, the capital of Guizhou Province, is a significant center city in Southwest China, known as an innovation-oriented and ecological leisure tourist city and national comprehensive railway hub. 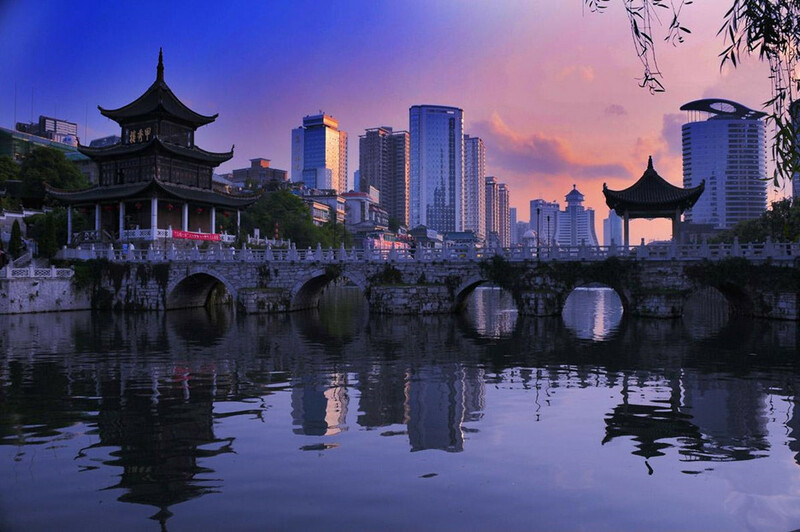 Due to its coolness and wetness in summer, low ultraviolet ray, fine water quality, suitable altitude and excellent eco-environment, Guiyang has the honor of “Summer Resort in China” awarded by Chinese Meteorological Society. It is not only modern, but provided with plateau characteristic that the city is in the mountains while mountains are in the city, and the city is in the forest while the greenness covers all over the city. 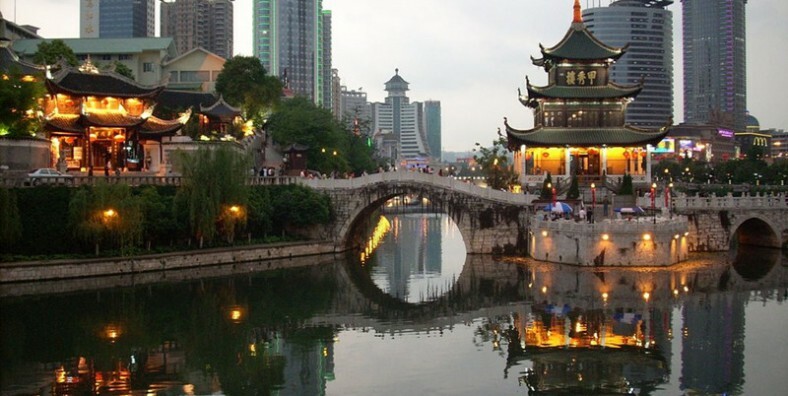 Famous Attractions: Guiyang attractions boast both beautiful natural landscapes and historical human landscapes, including Hongfeng Lake, Qianling Park, Tianhe Pool Scenic Area, Huaxi Park(Flower Stream Park), Qingyan Ancient Town, Jiaxiu Tower, Wenchang Pavilion, etc. 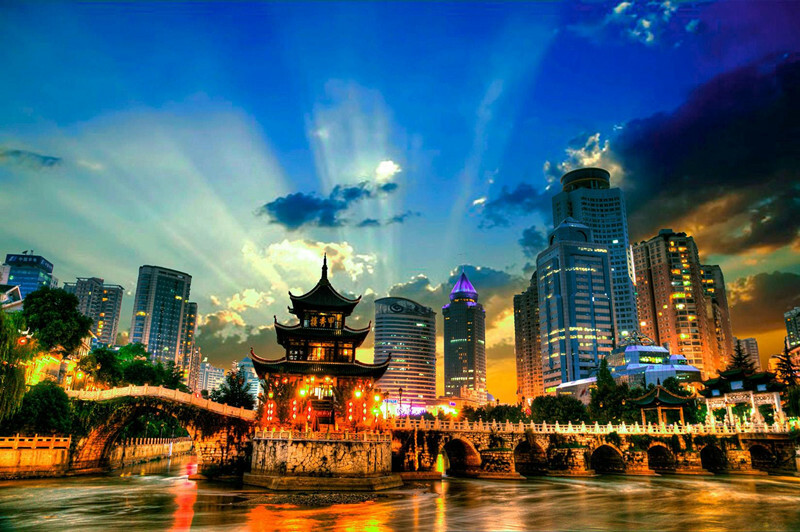 Ethnic Culture: There are rich ethnic festivals, ethnic song and dance and ethnic costumes in Guiyang, including Buffalo Festival(牛王节) of Miao, Shangsi Festival(上巳节) of Buyi, Lusheng Dance, Miao and Buyi Costumes, etc, with unique charm. Folk Handcraft: Embroidery and cross-stitch work are the traditional ethnic crafts in Guiyang, with various styles and features of ethnic minorities. The Miao embroidery is the most typical. 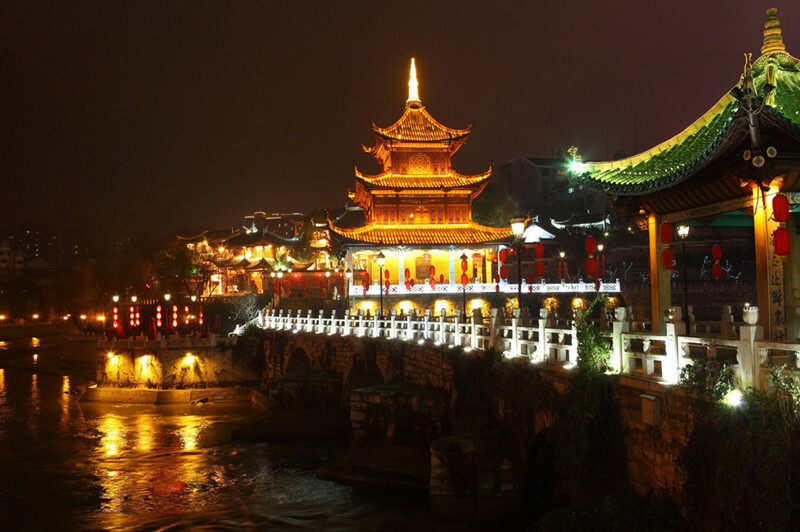 Qian Cuisine: Guizhou cuisine is also known as Qian cuisine. Its cooking technique and flavor combines Sichuan Cuisines, immigrants from north to Guizhou and local minority cuisines. 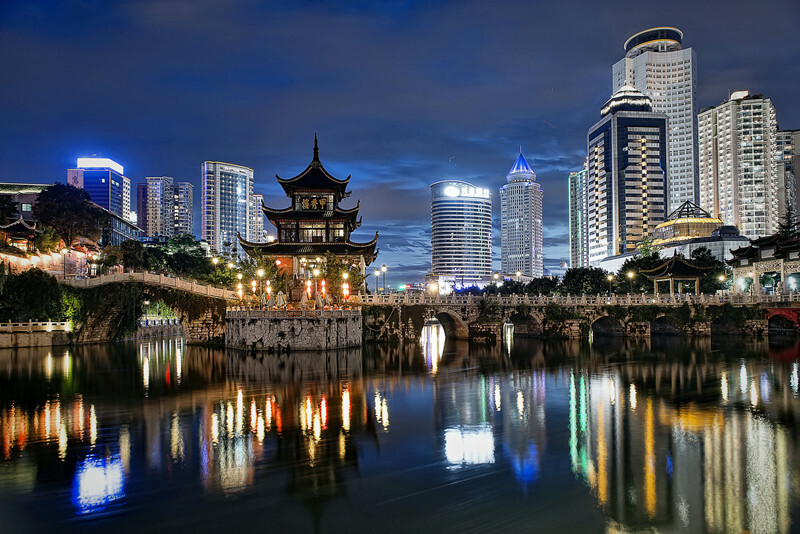 In the early Ming Dynasty, Guizhou cuisine has tended to mature, many Guizhou cuisines have a history of more than 600 years.